Systemslink is proud to be one of the UK’s leading supplier of cases, covers and holsters for portable devices. In today’s world, most people carry at least one device to make their life easier and help them carry out their work. Systemslink recognises the need for these essential items to be protected from the rigours of the work environment and everyday life, while remaining completely functional. Systemslink was founded to provide attractive, durable, premium quality cases to fit the wide range of mobile computers, data capture and industrial devices in use across a wide variety of industries. Our care and attention to detail have earned us an excellent reputation and a long list of satisfied customers who come to us to buy our exceptional quality products again and again. As well as our fantastic range of stock products, we sell competitively-priced bespoke cases created especially for each client’s specific needs. We are always happy to talk to customers about what they are looking for so we can make products which match their exact requirements. Our experienced and dedicated staff take the time to understand the equipment each product is for and how it will be used. Our team will then create a prototype which will be for evaluation to make sure it suits these requirements. If you choose us to make cases or covers for your company’s portable equipment, we will offer you a choice of leather, fabric or synthetic materials to create the perfect solution to the challenges in your workplace. Systemslink can also create items in your corporate colours or brand it with your logo, making our covers the ideal addition to any staff uniforms. Our mission is to create practical, durable products, which look appealing and will survive being used on an everyday basis. We know our products need to work as hard as you do so we only sell items made with the finest materials, excellent workmanship and a high quality finish. Providing excellent customer service is our top priority – we are not happy unless you are. 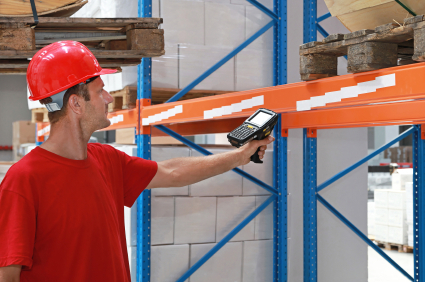 Systemslink aims to supply our clients with the products they need quickly and efficiently. We have worked hard over the years to become leaders in our field and we do all we can to make sure everyone who comes to us goes away happy.